Aren’t I lucky that I get to go back to school shopping every year? I always like to get a few new outfits before the new school year to get me in the mood for work after a nice long break. Ok, so let’s look at my new clothes, shall we? This dress from White House Black Market. I used an online coupon code and had an old store credit, so I think I only spent $50. 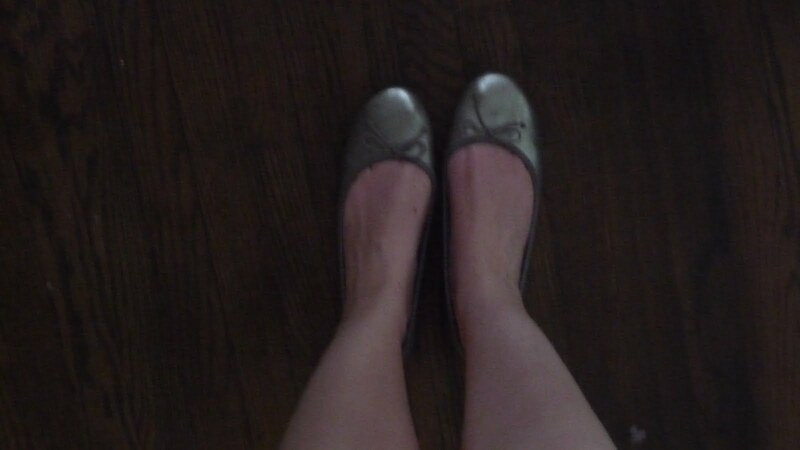 I already had the shoes; they’re from DSW. 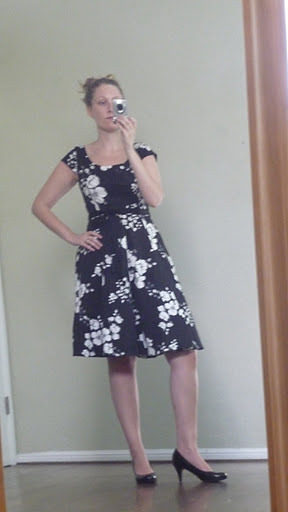 I actually got this dress for my 10 year high school reunion that’s coming up in a few weeks, but I can wear it to work, too. This dress from Old Navy. 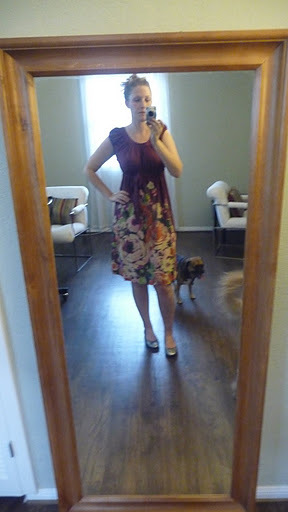 Yes, it is a maternity dress. NO, this is not an announcement. 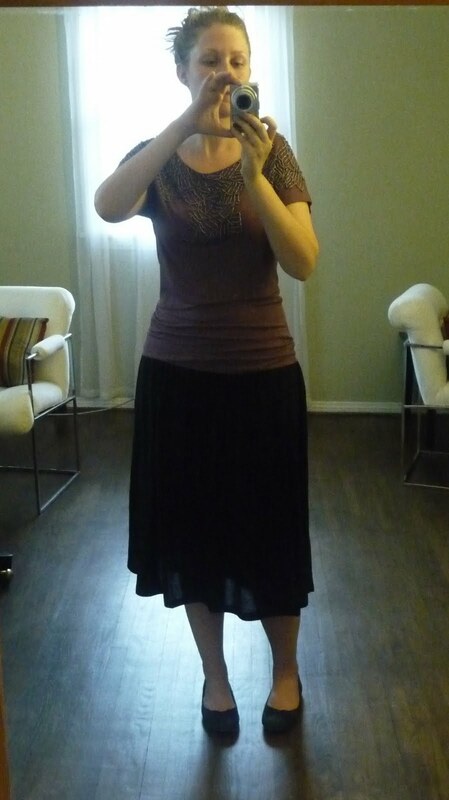 I wandered over to the maternity section and thought it was cute and flattering, so I bought it. It works now and it will work later when I need some extra tummy room. These shoes from Old Navy. I have them in black and they are so comfortable. The pups wanted in on the photo shoot. 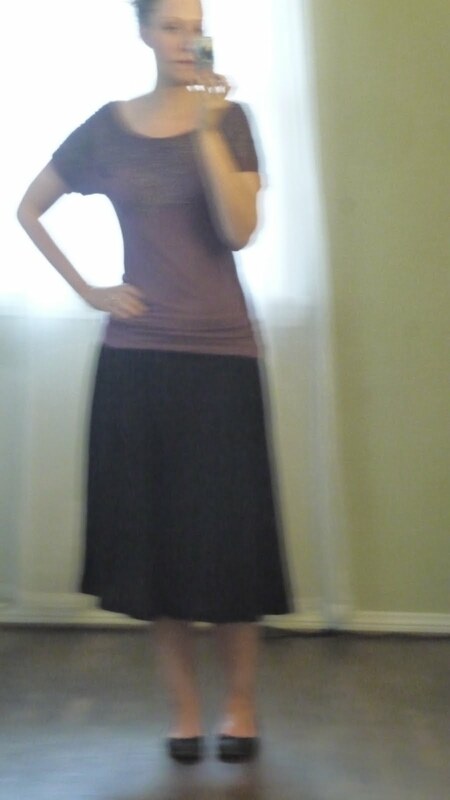 I’m sorry this photo is so blurry, but it was the most flattering in this outfit. 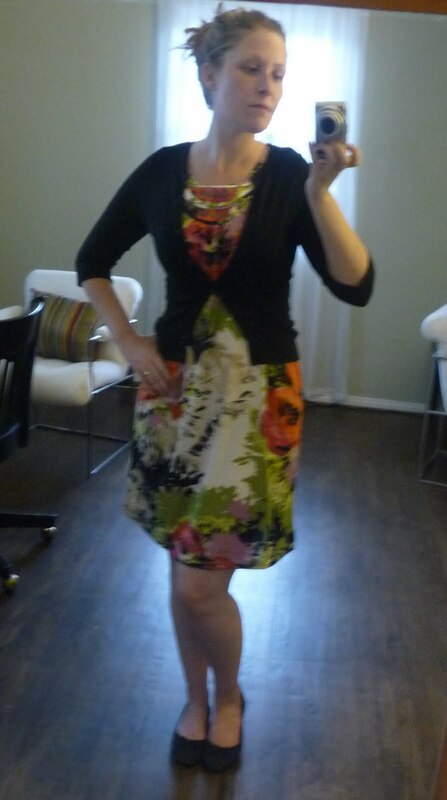 This dress is from Burlington Coat Factory and was only $18! I already had the sweater and shoes. I have a styling questions for you guys: Do you like the sweater buttoned like it is above? Or unbuttoned like this? I can’t decide. As for school supplies, I haven’t bought much. I want to wait until I see what the school gives me when I go in for meetings at the end of the week before I buy a bunch of stuff. I did get a small fan for my desk (my room in newly painted and smelly), hand sanitizer, and a planner. I might get a new desk chair (the one in the room is wooden and stationary), but I’m going to see how uncomfortable the provided one is first. Luckily, I’ve been teaching for a while so I have a lot of stuff already. Did/do you like back to school shopping? What’s your favorite part? Love the new clothes! And how lucky for you! I see all the back to school sales and never take part. As for the sweater, I say buttoned. It gives you a nice defined waist when it's buttoned. So cute! It's been years since I did any back-to-school shopping, but now I'm wishing I did! We even have a state-tax-free weekend coming up soon which will mean even more savings…hmmmm.I think buttoned. Gives you the definition and it also drew my attention more to the cool collar on that dress, which is a great accent. 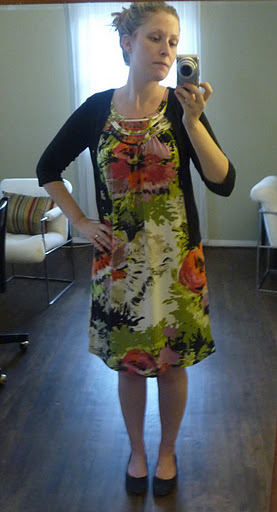 I looove the Burlington Coat Factory dress! Really love, love. And I kinda like the sweater buttoned up. Definitely agree with the majority… buttoned 🙂 Good luck with school! 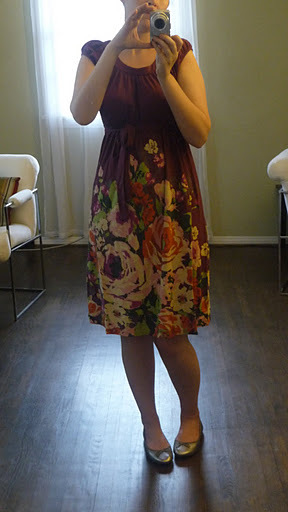 I think that the Burlington dress would look great with a belt to define your waist. Love all the looks!